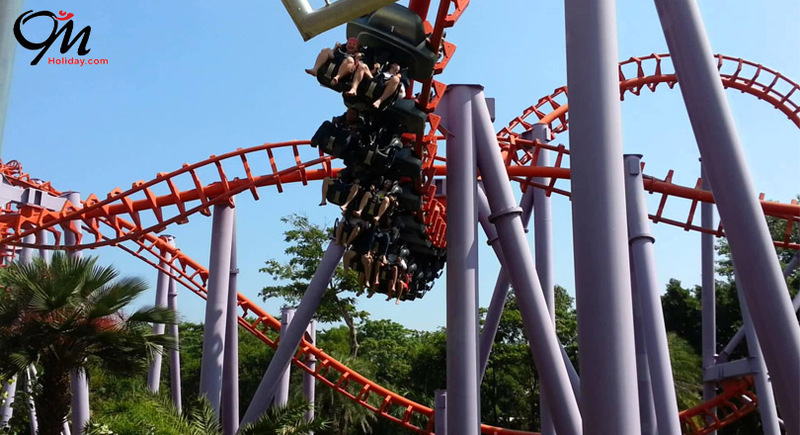 10:00 - Arrives at Siam Park City. 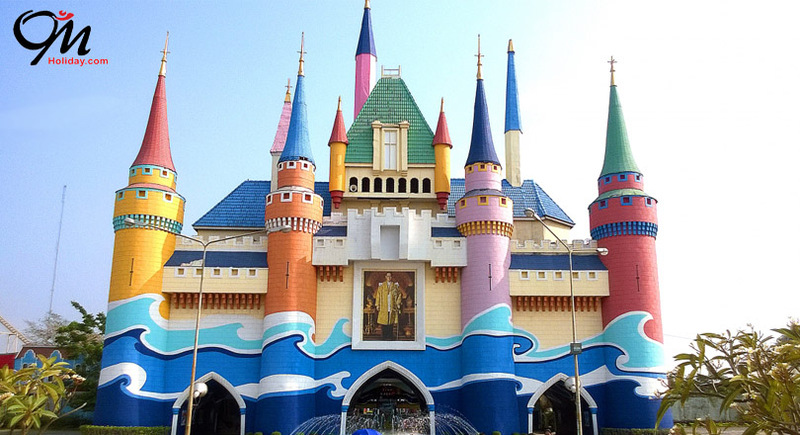 Water Park - Welcome to Asia's biggest waterpark. Lay back and enjoy happy moments under tropical coconut shades. Refresh your holidays with variety of water rides, among all, world's biggest wave pool certified by Guinness World Records. 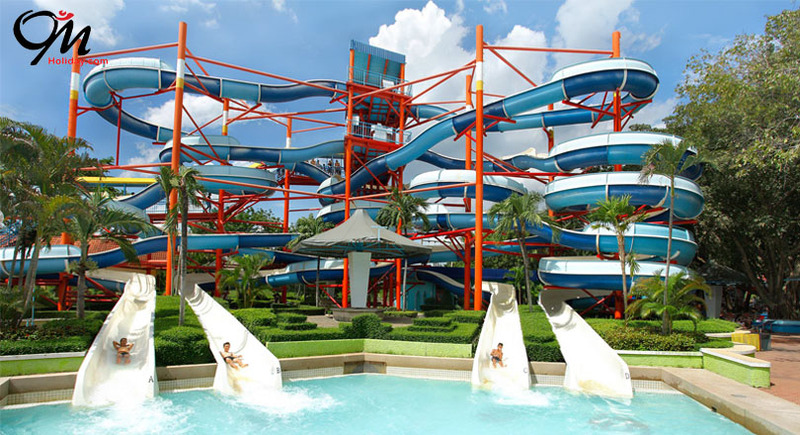 Super Spiral - The colorful spiral slide as high as a 3-storey-building, the beloved water ride for all family members. Club House - This club house building, in a center of the water park, contains all things to facilitate your breezy days including tasty food, beverages, swimming suits for rent, swimming ring, toilets, and changing rooms. 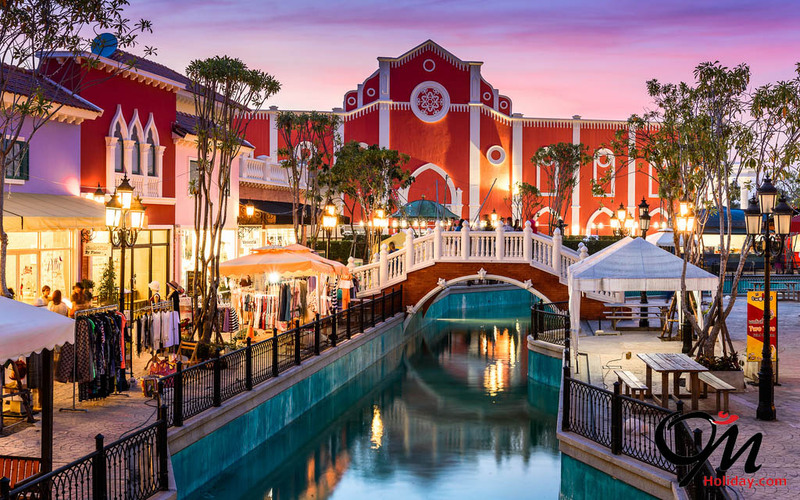 Flowing Pool - Flowing along the lazy river and make it a big memory for your family. 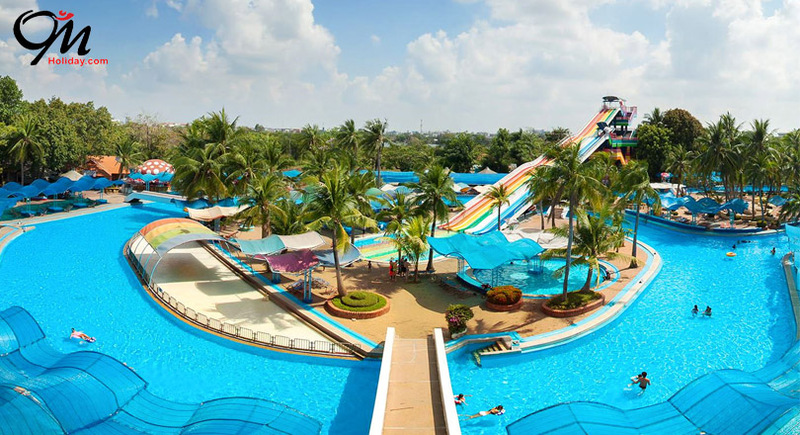 Speed Slide - A 7-storey-high rainbow slide, the highest in South East Asia. 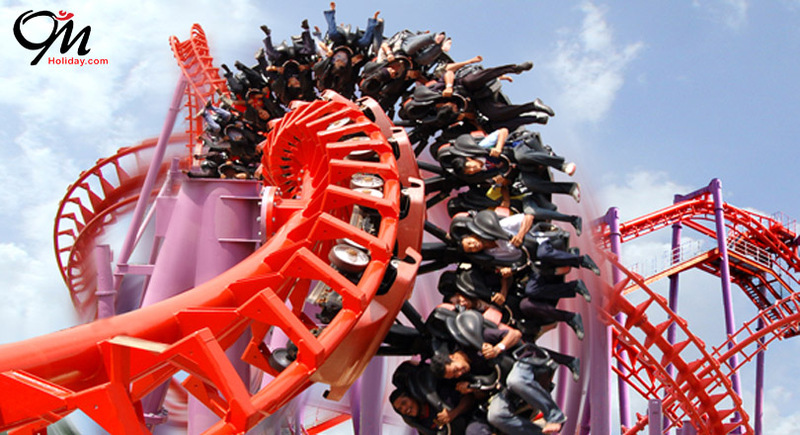 Do not miss to visit this giant fun once recorded by Guinness World. Wave Pool - An inland sand and sea with giant waves right in downtown Bangkok. 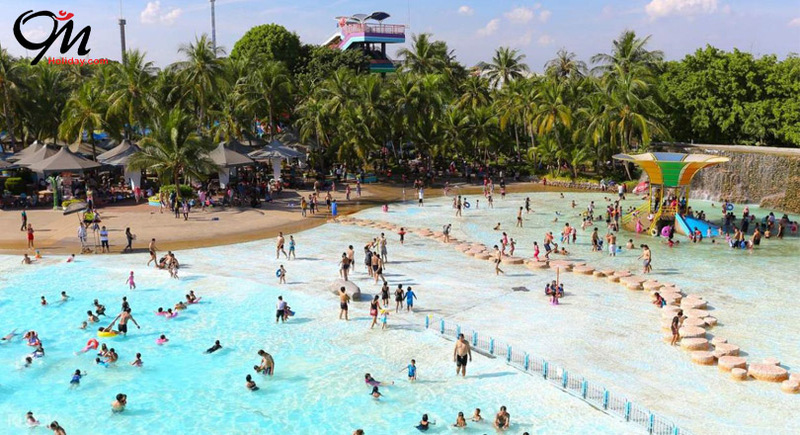 Certified to be World's largest wave pool, at 13,600 sq.m., by Guinness World's Records. 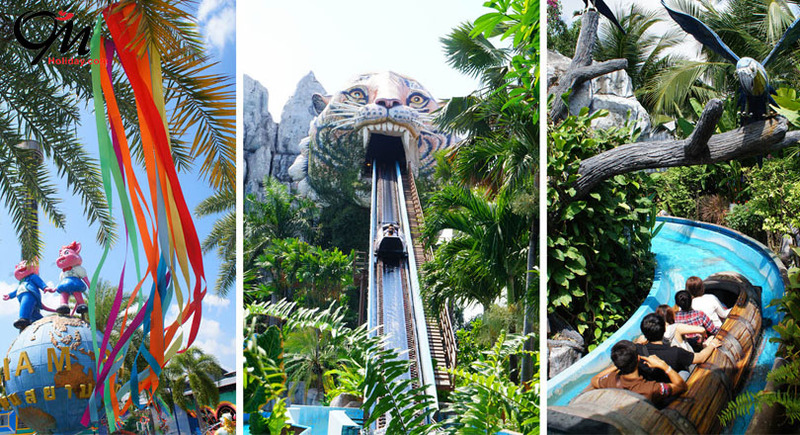 Free at leisure inside Siam Park and enjoy exciting facilities and equipments at various zones inside the park.